This chapter explores the relationship between sampled-data models and the associated continuous-time system. 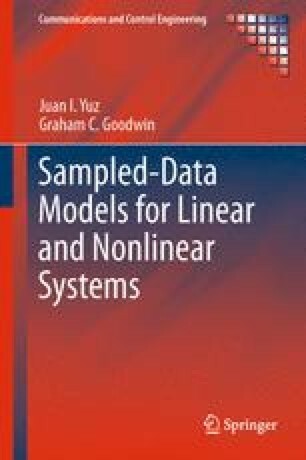 In particular, the chapter shows how the sampled-data model relates to the original continuous-time model, when a fast sampling rate is used. It is shown that a simple reparameterization of the sampled model in the so called incremental (or delta) form, is required in order to recover the continuous-time model when the sampling period goes to zero.